Reusable cloth towels can present a health hazard when soiled with UV curable inks, coatings, or adhesives. To minimize contact, use disposable towels during clean-up, prepress setup, etc. UV Process Supply carries a full line of specially developed synthetic towels that provide more absorbency than common rags, cotton pads or paper towels, and offer excellent durability. Both E-TORK AND A-TORK DISPOSABLE WIPERS offer a clean, tidy, trouble-free system that is labor-saving and replaces a whole range of consumables that might presently be used. The Original E-Tork Wipers (J006-002) have now been upgraded to our New Tork Premium! These new wipers are even more durable than before and designed for your more extreme jobs. They can handle heavy-duty solvents and harsh abrasives. They have a spunlace pattern and are very durable while maintaining a soft touch. Made of 100% synthetic and virgin fibers. Each Tork Premium wiper measures 12" x 11"
The A-Tork Wipers (J006-022) are for your more gentle needs. This soft, non-abrasive wiper is made of 2 ply cellulose. 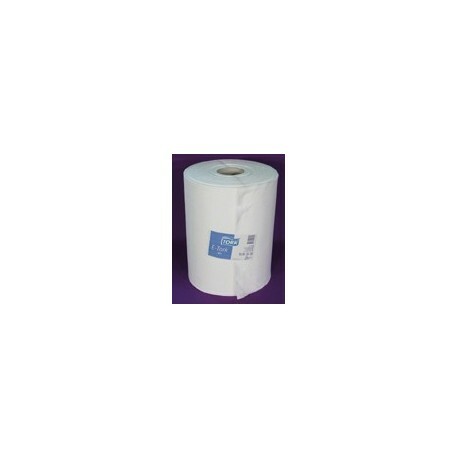 They are available in a 9"W x 965'L roll, sold 2 rolls/case.